The Andis T-Outliner Trimmer: Overrated ... or Not? First published December 23, 2016 , last updated April 8, 2019 . Reading time: 4 minutes. Its varied blade is very proficient and requires less strokes to achieve the look that you want. In fact, it cuts very thin and with maximum precision particularly if you are using it to trim your mustache or to shape your neck and forehead. Unlike cheaper trimmers, there is no need to use any direct force when using the trimmer; it will trim as close as you need it to. This remarkable trimmer cuts extremely close without really shaving. 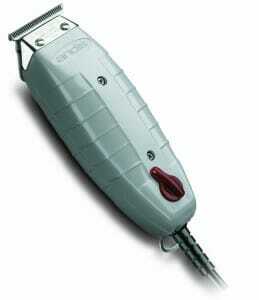 This trimmer is so incredible to use that you can trim and shape everybody in your family, your pets included. The value of the cut is so sharp and spotless that it appears like it was cut by a qualified barber. This clippers are truly amazing. However, no product is perfect. Click here to read about the one thing reviews complained about. If you suffer from sensitive skin – this is perfect for you! This trimmer can even be used for very sensitive skin without stressing about rashes and irritation. In instances of severely sensitive skin and in case you do get rashes, it is recommended taking a soft tooth brush and placing it in hot water. That will get the bristles extremely soft. You can then use the brush to gently brush over your face. This will help to calm the skin and avoid any bumps. However, this is not anticipated to actually happen, but it’s a cool technique nonetheless. Although, it does get a bit warm after using it for a while, that is normal in almost all trimmers. There should be no problems with overheating, if you give it a break between uses. It is a little heftier than other trimmers but the weight is not an issue at all and you will not get exhausted holding it for an extensive period. 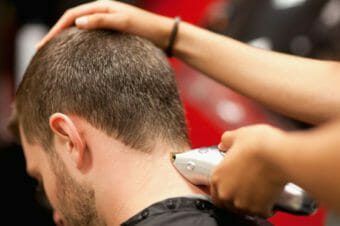 You will see that you are gripping a superbly tuned trimmer that is worth the money. The T-Outliner is accessible in either, gray or black. The cord is just lengthy enough to allow space for maneuvering without stumbling over it. The design is flawlessly planned to fit your hands and the motor offer so much stamina. However, this is one of the trimmers that does not include a case, an organizer or a tray so you have to place it in one of those multipurpose small bags or get a small sack so you can fit everything inside. Click here to read a few of nearly 1500 reviews. 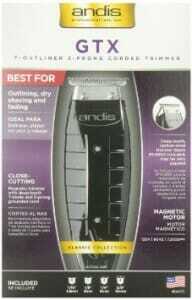 Due to the excellent precision and accuracy of the Andis T-Outliner Trimmer, I would definitely give it a 4.5 rating. For those with sensitive skin, you would expect to get rashes and bumps if you see how close the T-Outliner actually cuts, but actually it gives you a smooth cut with no skin irritation at all. Another great feature, is the durability of the trimmer. 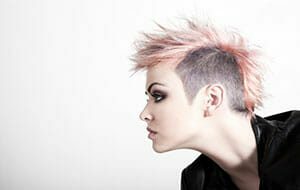 Unlike cheap trimmers that you have to replace every year, the T-Outliner can easily last you longer than 5 years and the blade will still be as sharp as the day you bought it. If you want the professionalism of a barber-type trim in the comfort of your own home, then you need the Andis T-Outliner Trimmer. If you looking for a stylish trimmer that will attract all the ladies with your new perfectly trimmed beard or mustache, then the Andis T-Outliner is the perfect one for you. Use it each day and for events and surprise your friends and family with your incredible lines and edges. It’s difficult to get much better with regards to quality, strength, cut, cost, and endurance. Definitely an all-round winner. So if this is the ideal trimmer for you, then click here to purchase this amazing little device. Enjoy your new look! 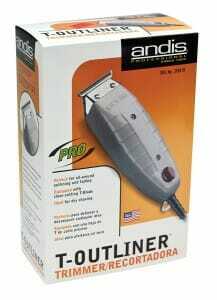 Learn More About Andis T-Outliner Trimmer with T-Blade (04710).